Many people worry about getting diabetes and heart disease, so they change their diet and exercise to try and prevent them. However, did you know that if you suffer from sleep apnea, your risk of getting these ailments (and more) dramatically increases? 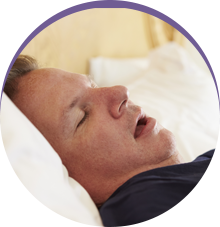 Over time, sleep apnea can lead to many serious health conditions that can drastically impact your life. Dr. Keane Fedosky is going to tell you about what sleep apnea can do to your health over time, and what you can do about it. Daytime Sleeping: Eventually your body is going to need rest, which can lead you to fall asleep at inopportune times. While this can be annoying at home and work, it can be deadly when driving, and dramatically increases your chance of having an accident. Diabetes: Current estimates are that nearly 40% of people with sleep apnea have type II diabetes. The connection is attributed to possible obesity, or the fact that sleep apnea has been shown to affect the level of a person’s blood sugar. 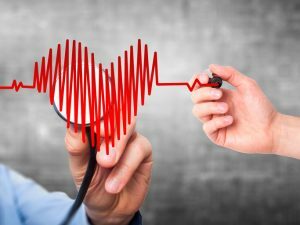 Hypertension: Low oxygen levels in the blood puts a lot of strain on the body and can lead to high blood pressure, which itself can lead to heart disease and stroke. Depression: A lack of rest over time can affect your hormone levels and impact your emotions, leading to feelings commonly associated with depression, such as sadness and hopelessness. All of these conditions can be life threatening, which is why it is so important for you to treat your sleep apnea. We are able to offer you the highest-quality sleep apnea treatment using oral appliance therapy. This is a mouthguard that you would wear every night when you go to sleep. It keeps your airway open by preventing the soft tissue of your mouth and throat from collapsing into it. It does this by gently shifting your jaw forward, keeping your tongue in place, or both. 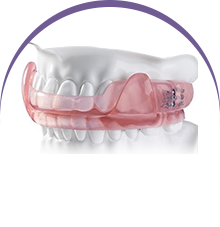 Every oral appliance is custom made for each patient from flexible and durable materials. They are light, easy to use, and patients are able to talk and drink normally while wearing them. Oral appliances are versatile enough that they can either replace a CPAP machine, or work with it for combined therapy. They can even be used to help stop snoring in Plano. 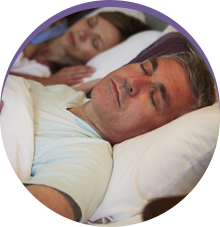 No matter what you need to get a restful night’s sleep, Dr. Fedosky can provide it. Your sleep is extremely important for your health, and considering what we’ve talked about today, getting treatment for your sleep apnea could potentially save your life. If you’d like to know more about the long term effects of sleep apnea, or want to start treatment, please give us a call today.